Rocktail Beach Camp on the KwaZulu Natal north coast was on my bucket list – A small, private diving resort hidden in iSimangaliso Wetland Park – a World Heritage Site, with 220km of coastline, three major lakes, eight interlinking ecosystems, Africa’s largest estuarine system, a marine reserve, 526 bird species and ancient coastal dunes. 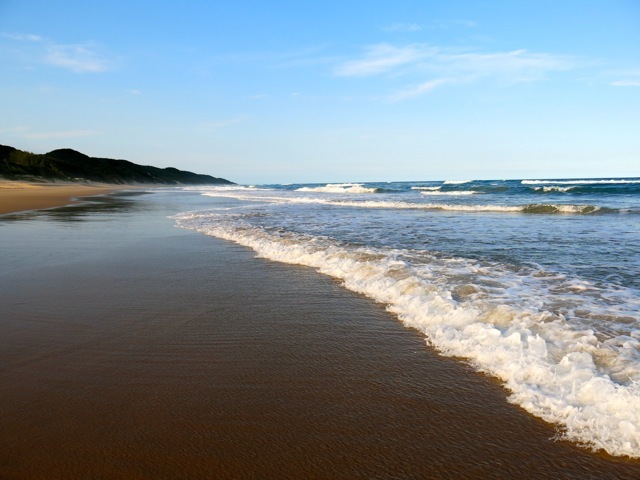 The name iSimangaliso means miracle and wonder, which aptly describes this unique place. 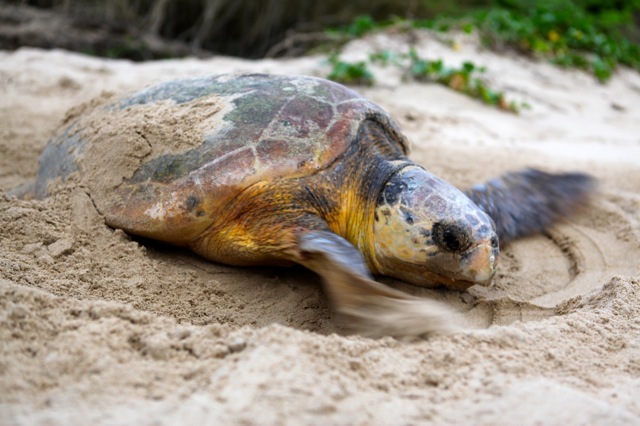 Every year, in the summer months, leatherback and loggerhead turtles lumber up the beaches of iSimangaliso to lay hundreds of eggs in the dunes. I knew I had to go there. “Hold onto the ropes!” Clive gunned the motor and we crashed through the surf, the boat flying over breaking swells, the wind whipping spray into our faces. We were out on our first ocean experience at Rocktail. Understatement. On command we donned our snorkels and flippers and bailed into the deep water offshore. The water swirled silver and luminescent around us, while the potato bass kept a respectable distance and Manta rays vacuumed the sands beneath. 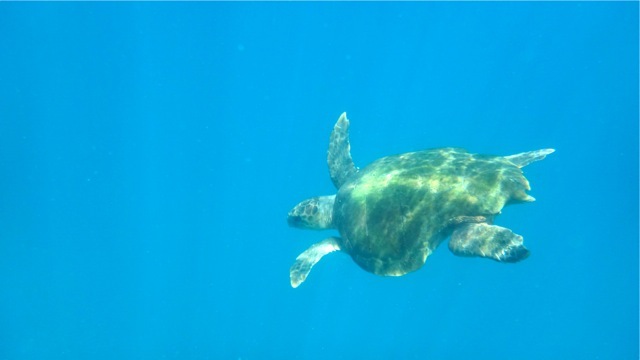 Out of the dark blue a turtle joined us, curious and gentle, gracefully gliding around me. Positioned ahead of the gentle giant moving steadily up the coast, we launched ourselves into the water and waited. Murky nothingness, and suddenly this spotted submarine was right in front me, widespread eyes unperturbed by my presence. 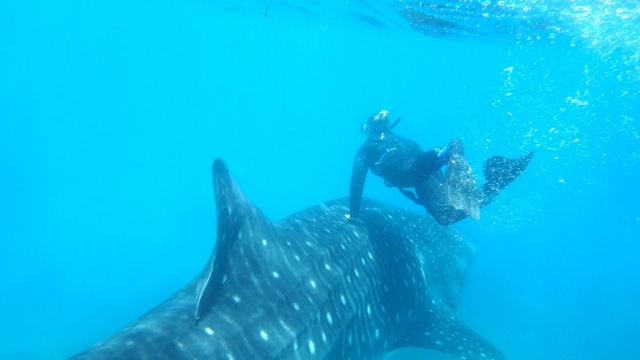 The whale shark was a male juvenile, about 6 metres long. We swam with him, in awe of the moment. The moon was full in the early hours of the next morning, and we climbed on a Landrover to go in search of turtles laying their eggs. 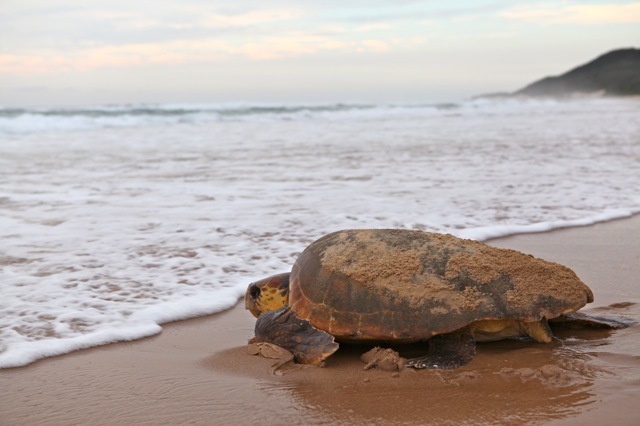 A dark lumbering rock emerging from the surf became a turtle moving up the beach to dig its nest. We waited until she had started laying before venturing closer to have a look. 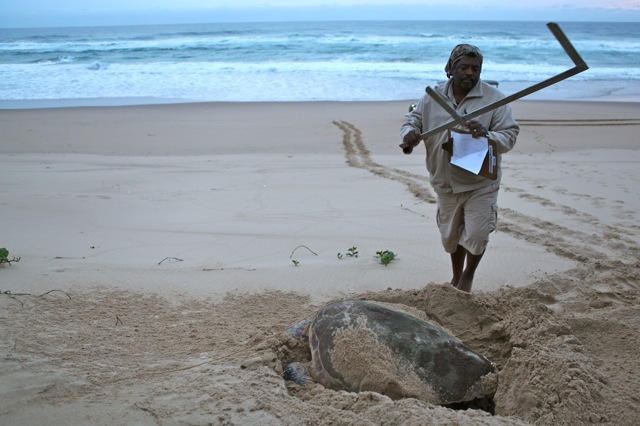 The turtles go into a hypnotic state while they lay and this enables the rangers to measure and tag them. As the sun rose, she closed the hole, hundreds of eggs intact, and moved solidly towards to sea. We watched overwhelmed and exhausted for her.